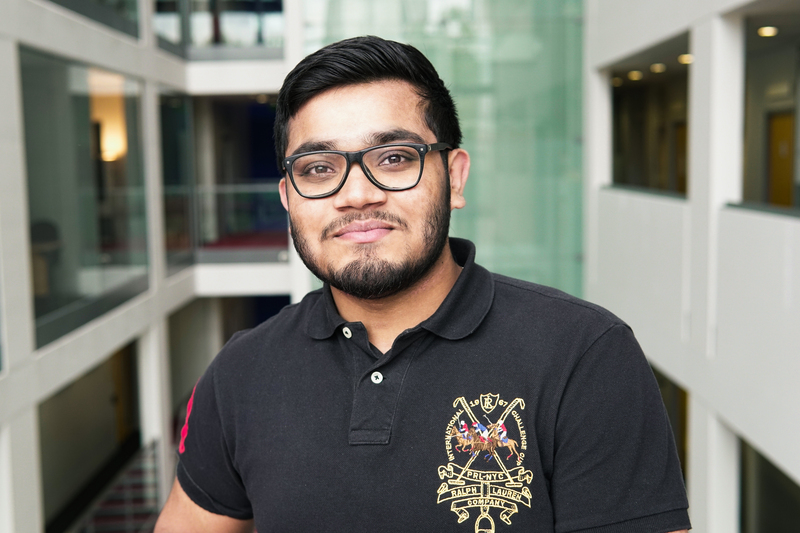 Yamin Miah, a Computer Science student is the youngest winner of the 2018 City Spark competition for his business venture ‘Bubble Mind’. What has been your favourite aspect of the course so far? Learning all the different ways we can use Computer Science to help change the world. I have been taught many skills and have used various tools that I did not know existed to help create different things. It has given me the chance to see a much bigger picture in terms of what I can do with Computer Science after graduation. It is in the heart of London, where it is surrounded by many big companies. We have regular talks by industry professionals, offering advice about what it is like to work in the industry. The employability opportunities were also a main factor as to why I chose to study at City. Taking part and winning City Spark; it allowed me to meet many people and build a strong professional network. It has also helped me launch my own business and achieve things way beyond my goals. Programming in Java. I was able to put into practice what I learned very quickly by creating a working videogame in only a short period of time. I loved how quickly we were able to learn code through the teaching offered at City. What is the main benefit of studying a course at City? There is a lot of support and resources available; lecturers often have office hours in which we can attend for help and support if we are stuck on anything. They also put up additional resources online from each lecture which is beneficial, in addition to suggested reading material which helps us understand the topic better. What advice would you give to somebody thinking of studying at City? Attend as many events as you can; that way you can network with people that will help you progress through your industry. This will help you build a professional network which will be beneficial for you in the future.